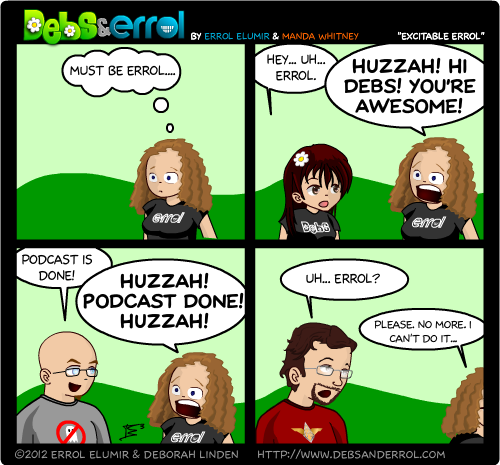 Whitless: Errol is actually determined that one vlog we’ll reverse roles and I will be him. We’ve tried it twice. It hasn’t worked so far. This has only resulted in me becoming more determined to succeed. The amount of excitement that man has for anything and everything is overwhelming. Debs: I love this comic. LOL this is absolutely hilarious!!! Is Errol not on vacation? How is he still putting these comics up? Or are people posting using his account? Oooo, someone Anon-ymous! With a hyphen. I’m intrigued! Who are you?